Impala Platinum has agreed to surrender a 51 percent stake in its Zimbabwe business to local investors, the company announced on March 13. The move marked a reversal by the world’s second-biggest platinum miner, which had been resisting Zimbabwe’s demand that foreign firms hand over majority stakes in their operations in the country. It was unclear how Zimbabwe’s government would pay for a 31 percent share of Impala’s 87 percent-owned Zimplats unit, the country’s biggest producer of the white metal. Implats said on March 14 that the government would have to find money to buy the stake or else it would not be transferred. The Zimbabwe deal came less than a month after Impala, also known as Implats, said it would restart production at South Africa’s Rustenberg platinum mine. Production at the mine, the world’s biggest, had been halted for several weeks because of a strike, costing the company 120,000 ounces of lost production of platinum group metals. Impala’s woes come amid a broader industry trend of labour disputes and safety stoppages, which have crimped output and increased production costs for miners. Announcing its full-year results on Feb. 17, diversified miner Anglo American, which owns 80 percent of Anglo American Platinum, the world’s biggest producer by volume, said returns at its platinum business were unacceptable. 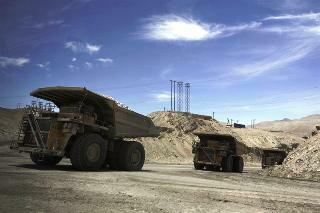 Chief Executive Cynthia Carroll said the group would review its platinum exposure. Platinum prices were just over $1,675 an ounce on March 15, up nearly a quarter from December’s two-year lows, but well below 2008’s record-high price of $2,290 per ounce.